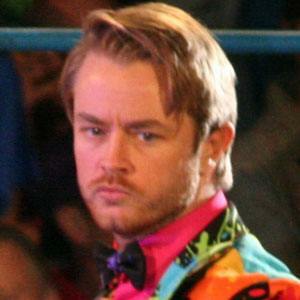 English wrestler known for his work in Total Nonstop Action Wrestling, having been featured on the promotion's reality series TNA British Boot Camp. In addition, he is a champion of promotions like XWA, Ohio Valley, and Revolution British Wrestling. He got his start wrestling under the name Spud and training under Jack Storm and Chris Gilbert in K-Star wrestling. He wrestled former Big Brother contestant Billi Bhatti on the Big Brother-related reality series What They Did After the House in 2006. His birth name is James Michael Curtin. He feuded with Abyss during his time in One Pro Wrestling.